Heading our SAFE TOYS FEATURE is HABA, a wooden toys giant! Haba, to me, is an exception to my “rule” that the bigger the manufacturer, the more careless about safety they are. They are the best example of a company that stayed true to itself as it grew, a company with a conscience. According to Haba their products comply with EU standards, as well as are tested independently. 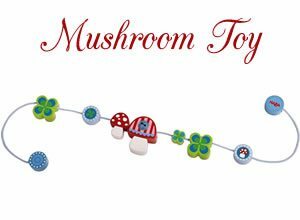 My two favorite lines of Haba are wooden toys and their new Organic toy line. 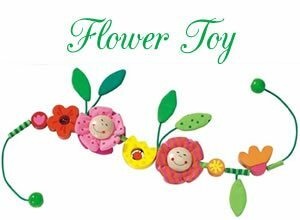 The wooden toys are painted with solvent-free, environmentally friendly, water-based stain, which is where the trouble usually arises with some traditional paints having lead and formaldehyde. 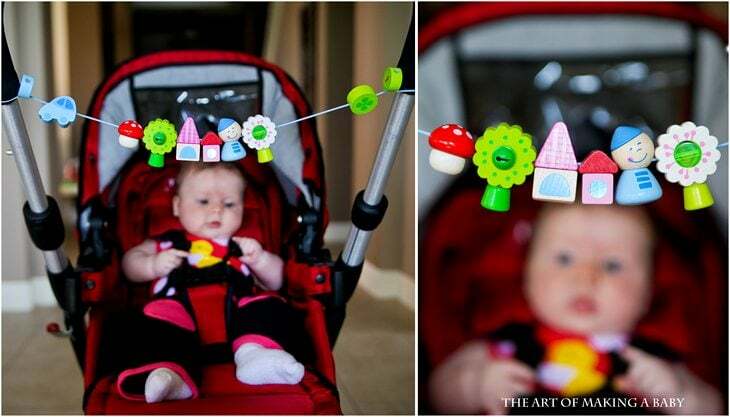 So you can be sure that it is ok for babies to mouth HABA’s toys. This Pixie World Stroller Toy was one of Lexi’s favorites to look at when she was little and play with when she got a bit older ( though, I do not recommend leaving your child alone to play with this). I love all the themes and colors of these toys. I am sucker for pastels and bright happy colors. 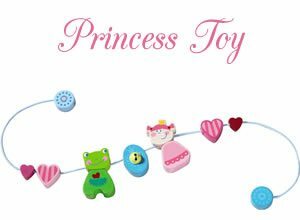 The second line that I adore is their Pure Nature line featuring organic toys, dolls, rattles and more. This is a truly awesome line of soft toys made out of organic materials with a polyester stuffing (because natural materials are prone to mold, however it is Oeko Tek 100 Certified). All the toys are fully washable and have the cutest softest colors I have seen to date. I am tempted to post pictures of every single toy in this line but I will refrain and only give you a glimpse. The rest you can see on HABA’s website, or at your favorite online retailer like HABA on Amazon. 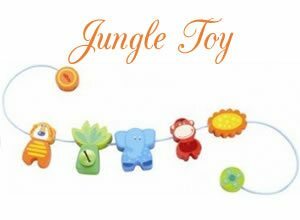 If you’re looking to buy these as a gift, they are best for young infants as a safe alternative to plastic toys, as well as older infants who are starting to understand the idea of a doll. We have also since bought the Magica Rattle that I’ve been eyeing for a while and it is great. To be completely honest I personally like playing with it myself. Otherwise, we keep it in the car as our “car seat toy, since it’s made out of wood and doesn’t have an issue sitting in the heat. On a separate note, HABA has really great toys for all ages, not just baby, as well as amazing themed furnishing items, swings and other kids’ room decor, like this Play Tent. On another note, I personally prefer to stick with wooden and cloth toys from HABA. Metal items that could be put in her mouth make me nervous. If you haven’t read the first post in this feature about safety of toys and how to avoid toxic dangers in toys, you can read it here. 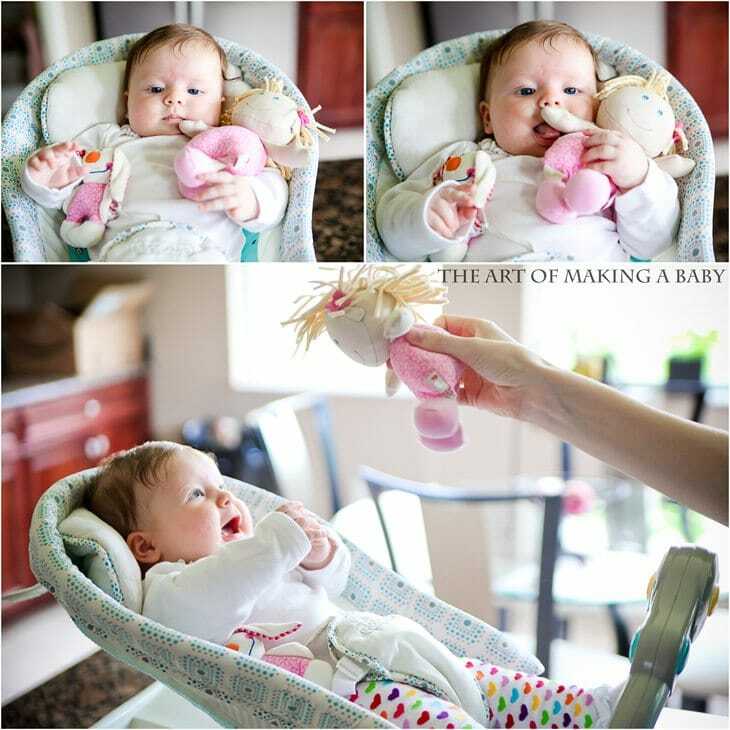 *Disclosure: HABA sent us Organic Bea Doll, Organic Clutching toy and Stroller toy to try out. All opinions are my own. I bought those on Myhabit. They occasionally have them on good sales ( 28-36 dollars). In the meantime, you can find them here for full(-ish) price.